Enveyo's cloud-based, data-driven software provides a comprehensive view of your logistics and shipping processes. 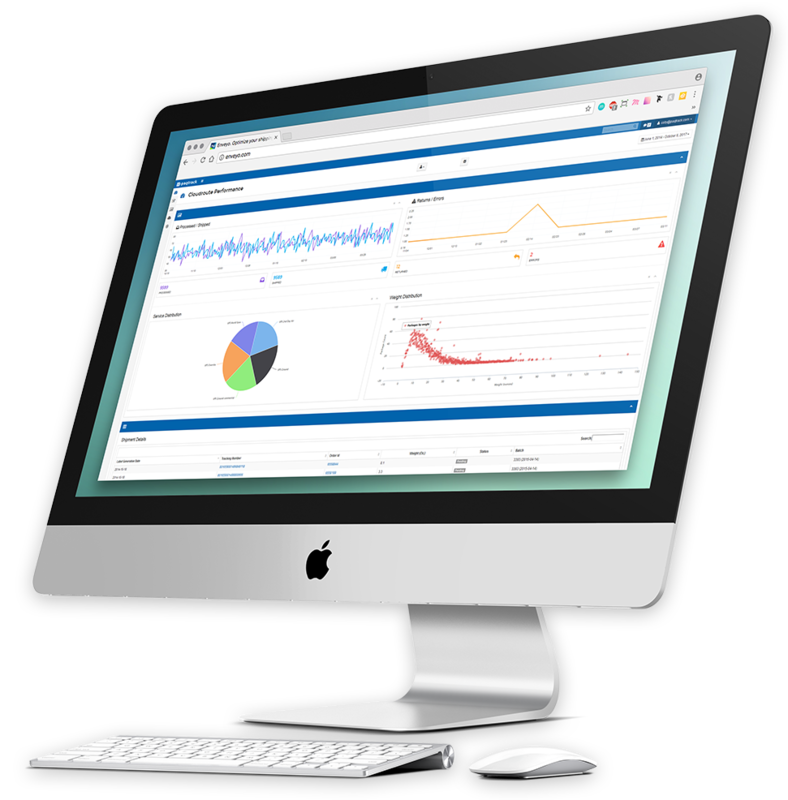 Our suite of easy-to-use and understand reporting and optimization tools is designed to save your organization time, money, and headaches. Any enterprise-level business that deals with shipping will have logistics issues. These issues are avoidable if you have the right level of visibility and the right technology in place. 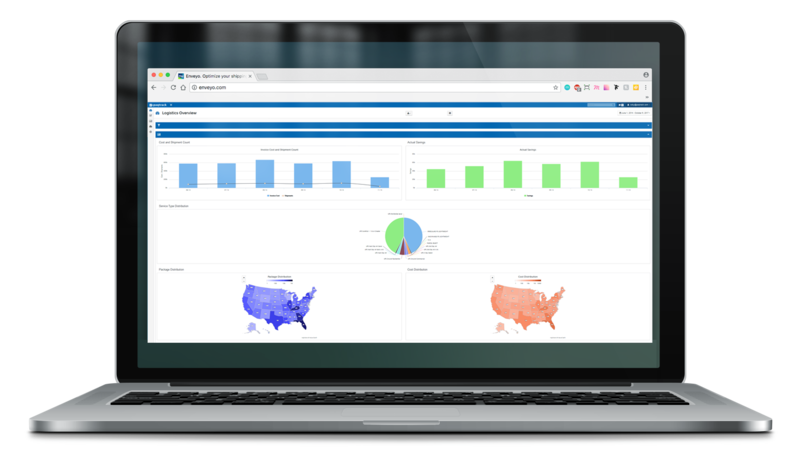 Enveyo’s Insights reporting software is designed from the ground up to provide views of your enterprise-level shipping program that are both comprehensive and hyper-detailed. Arm your organization with powerful reporting software that transforms big data into big opportunity. Much more than simply world-class reporting software—Enveyo’s Suite of Logistics software analyzes every relevant variable to determine the optimal shipping solution for each package that leaves your warehouse. Enveyo eliminates human error to make your shipping program as efficient and cost-effective as possible. Predictive analytics from Enveyo will make difficult decisions a cinch. You will know the outcomes of these decisions before you implement. Our Cloud-Based suite of analytics and optimization tools drives supply chain and logistics efficiencies. Predict the outcome of logistics adjustments using historical data with our modeling engine. Use our reporting software to increase efficiency with comprehensive comparative analytics. Increase efficiency and lower costs with intelligent shipping driven by our decisioning engine. Monitor carrier rates and services with our comprehensive programmatic auditing software. Enveyo’s software is pre-integrated with today’s most popular business management systems. Not only will your separate management silos interact on Enveyo’s consolidated platform, but Enveyo will be able to use all your data to optimize your logistics processes. It’s easy to make the right decisions when you can see the whole picture. “We’ve definitely saved a significant amount of money to date, but perhaps the most interesting data points are that we’re growing our business and shipping products to members at a pace that more than triples the growth of our costs in this area."